The forests of Pennsylvania, New York, West Virginia and Kentucky have long been known for producing some of the finest hardwood timber in the world. At Allegheny Veneer, our job is to find the very finest hardwood timber in the world and make it available to our customers as quickly and efficiently as possible. Our strong reputation rests with our expert personnel. Every member of the Allegheny Veneer staff has hands-on responsibility for the logs we sell. They are graduates of some of the finest forestry schools in the nation. That education is combined with training in our operations and procedures so that each member of our staff is completely qualified to meet the special needs of our customers. From the buyers who travel throughout Pennsylvania, Ohio, New York, Indiana, Kentucky and West Virginia seeking out suitable logs to the workers who oversee log preparation and sales, the people at Allegheny Veneer are committed to ensuring the quality of every log we sell. Over the past 30 years, our reputation has grown steadily by meeting the special needs of each of our customers. This is our primary concern. We feel confident in saying that we can handle any needs our customers may have for quality veneer logs, export saw logs or searching for a very special type of log for a special veneer. The growing European and Asian demand for veneer logs has provided Allegheny Veneer with the opportunity to grow and expand into new markets. This growth has allowed the company to focus on the quantity of logs bought and sold as well as the quality. At Allegheny Veneer, we can meet the needs of any customer, anywhere in the world, with unsurpassed quality and specialized, efficient service. Each species of wood is unique, with its own special texture and grain pattern that sets it apart from all others. No matter what veneer wood you seek, Allegheny Veneer has built a strong reputation for quality. We offer a variety of woods known for their beauty in fine veneers. From the Allegheny National Forest, come Hard Maple, Red Oak and Cherry. These have traditionally been the woods of choice in many veneer manufacturing applications. We can also provide our customers with many other unique woods, including White Oak, Walnut, Elm, Ash, Basswood, Soft Maple, Yellow Poplar, Beech, and Birch. Inspection is a skill at Allegheny Veneer. 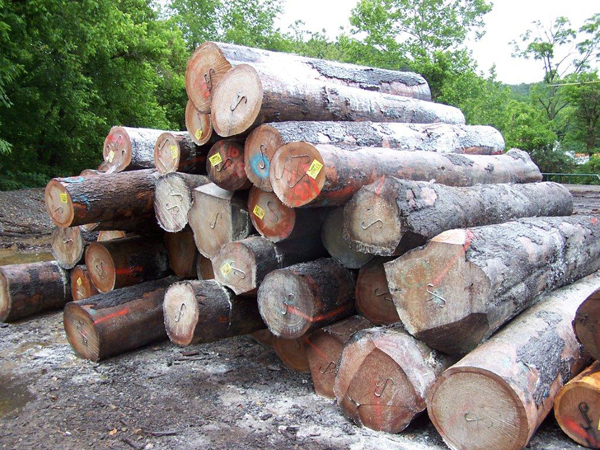 The logs we procure are transported to our facility, where they are carefully reinspected to ensure that they meet the highest standards for color, texture, size and character, as well as surface and interior cleanliness. Only after rigorous scrutiny does a log earn the Allegheny Veneer mark of quality. Allegheny Veneer is always searching for new sources of high-quality logs and timber. 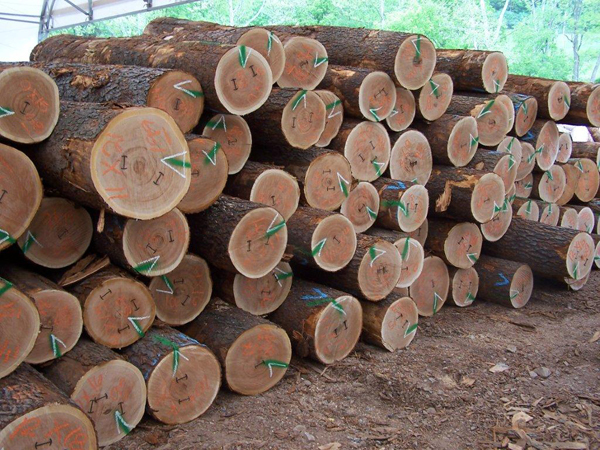 We purchase logs, timberlands and timber stands of any size. If you are looking for an aggressive company to buy your logs or timber, please contact us. 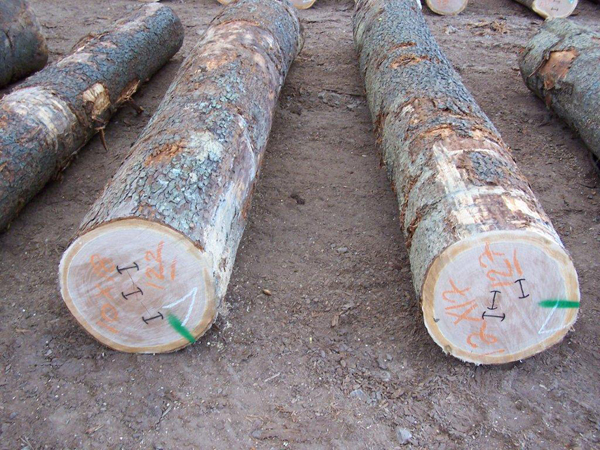 Our staff of professional log buyers or foresters will be more than willing to go to your site and make you a very competitive offer for your product. We pay immediately upon inspection for your logs.